PDF2Printer is an as MS-Windows service installed application to output PDFs from a monitored folder automatically to different printers. Folder monitoring prints automated all in a folder contained and newly added PDFs. 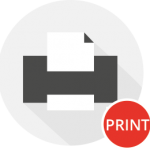 Monitoring with trigger PCF File File (Print Control File) allows the triggered print start of the pdf files contained in subfolders. selection – default printer from the list of available printers if no PCF printer control file is specified.